Made for the popular Pioneer 400 series CD Players and Mixer. 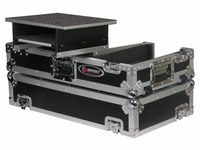 Our Flight ready glide style CD coffin holds one DJM-400 and two CDJ-400s. 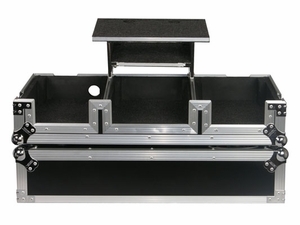 Features include recessed hardware, slide-out panels for CD entry and recessed wheels for easy transportation. Note: Please do not transport your laptop in this case damage may occur.